The Reptile Super show in Pomona last weekend was a success and a great start to 2014 for pet keepers, hobbyists and breeders. The room was huge and filled with top vendors from across the country. The diversity of species and dealers at this show continues to grow and is nothing short of impressive. Serious reptile hobbyist Ton Jones from Auction Hunters also made his Super Show return, posed for loads of photos and brought smiles to many attendees. The show was also a great beginning to 2014 for USARK and our efforts to defend the herp community. On top of all the generous auction donations from vendors, Reptile Super Show promoter Ramy Guirguis donated $6,000, Dan and Colette Sutherland from The Snake Keeper, Inc. and TSK Supply donated $1,000, Jay Brewer from Prehistoric Pets donated $500 and continues to raise funds, and Brian Barczyk from BHB Reptiles and Snakebytes TV donated $1,000 with continuous support throughout January with 10% of BHB reptile sales going to USARK. Other Contributors: Rising Sun Reptiles, Reptile Rescue Orange County (RROC), David and Jenny, Exotic Pets, Southwestern Herps, Quality Woodcraft, Poor Boy Reptiles, Sunland Breeders, Reptiles Reptropolis, Rainbow Mealworms, BJO Reptiles, It's All About You Handbags, F.U.I.B. Pets, Elephants, Etc. If we missed anyone, please let us know. We appreciate the support from everyone as these fundraisers allow USARK to continue the battle against anti-pet groups and anti-herp legislation. This was the first event of its kind put together by the Southern California Herpetological Association and Rescue and will hopefully lead to more. SCHAR brought together people from all aspects of the herp industry to strengthen our community and build relationships. It was great to see a room filled with constructive communication, productive planning and smiling herpers. On top of the event, they held raffles and auctions that raised over $5,100 for USARK. SCHAR is one of the most active herp societies in the country and they do loads to teach the general public about reptiles and our community through educational outreach programs. You can learn more and support this 501(c)3 organization at www.socalherpers.org and www.facebook.com/socalherpassn. Thank you Jason, Mark, Kim, Heather, Erik and SCHAR crew for setting a great example for other herp societies. and Herp Nation MediaThank you to everyone that made this a memorable event and for your support of USARK. Jordan Russell and Myke Clarkson are preparing for round 2 of the RAACA auctions to benefit the USARK Reptile Defense Fund. The next fundraiser begins 1/15 and ends 1/19. They raised over $41,000 with the last auction, which benefits our lawsuit expenses greatly. You can get all the details at www.facebook.com/groups/RAACAUCTIONS. Thank you, Myke, Jordan, Rebecca, Tammy and all involved. Your work and roles as supportive members of the herp world are appreciated. "After years of discussion and local battles already fought, Texas keepers have decided to create their very own organization to represent us at the local level in Texas. 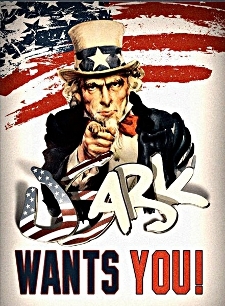 USARK is a fantastic representative for us on the national level, but they are not big enough or have enough representation to fight at the local county and city level in every state. It's impossible. After much discussion with Phil Goss of USARK, Jeff Adams of Snakedays here in Texas, Bonnie and Randal Berry of Texas Reptiles expos, Laura and Adrian Berg of Crossbone Corns and many others, we've decided to move forward on this. Learn more about TXARK at www.facebook.com/TXARK. Thank you to everyone involved with TXARK. This will be a great example for other herpers to follow to support the herp community. We will have updates concerning the lawsuit soon. USARK filed the complaint on December 18, 2013. Under federal rules of procedure, the government has sixty (60) days to answer a complaint or otherwise respond. Usually, the “administrative record” (the rule, comments, analysis, etc.) is produced at the same time. The court then asks the parties to propose a schedule, or set a default schedule, for further proceedings.The USARK Reptile Defense Fund continues to grow thanks to the support from the herp community. We have raised just over $90,000, with more committed from several sources, and would like to mention a few recent contributors: $1,000 from Chicago Herpetological Society (CHS), $6,000 from California Zoological Supply (Ty Dillon), $1,000 from Geckos Etc. (Steve Sykes), $1,000 from Repashy Superfoods (Allen Repashy). Donations can be made online at www.usark.org/reptile-defense-fund-2. You can view the Defense Fund Donor Wall at www.usark.org/usark-announcement/reptile-defense-donor-wall. The ordinance was passed by a vote of 7-0, with no public comments at the meeting. This is a new ordinance that prohibits: "1. sell, give away, barter, exchange; 2. display in any street, right-of-way, public property or private property open to the public; 3. intentionally release from captivity..." any "exotic animal." "Exotic animal" includes many species: Boa constrictors, Burmese pythons, Ball pythons, Brazilian Rainbow boas, Water monitors, Some venomous species and others. This ordinance (and an amended ordinance) and species list can be found at http://www.nmb.us/files/pdf/uploads/agendaMinutes/849-January%206%20Council%20Meeting%20Agenda.pdf (pages 18-22). A news article can be found at http://m.wmbfnews.com/#!/newsDetail/24387066. USARK was not made aware of this issue by any local hobbyists, who also may not have been notified. For any issues at the local level, please contact USARK at info@USARK.org. We can send information and steps to fight or even amend ordinances. The process is not difficult but a few people locally must cooperate and educate the lawmakers. Windy City Reptiles is planning a benefit raffle for USARK and will hold a raffle at Scott Smith's All Animal Expo on Sunday, January 19th in Wheaton, IL. Get more details at https://www.facebook.com/events/1404892413089091. Thanks, WCR! NARBC Arlington: NARBC hits Texas on February 15-16. This is one of the top shows in the country with top vendors and great promoters, Bob Ashley and Brian Potter. Be sure to attend the USARK/PIJAC benefit auction Saturday night to protect your rights to keep reptiles and amphibians as pets. NARBC raised over $100,000 to support the pet community and Rico Walder. Support those that support you. Get all the details at http://narbc.com/Arlington/arlington.html. Texas Rattlesnake Festival: This inaugural event will happen March 8-9 in Round Rock, TX. Share and spread the word. This is an educational event and no snakes will be harmed. This needs to be the future of rattlesnake-related events. Help make it a reality! Get all the details at http://texasrattlesnakefestival.net/Home_Page.php and https://www.facebook.com/texasrattlesnakefestival?fref=ts. Herp Nation Media: Enter promo code SUPER at http://www.herpnation.com/subscribe-to-herp-nation/ to get a subscription for only $30. Offer good through 1/15/14. 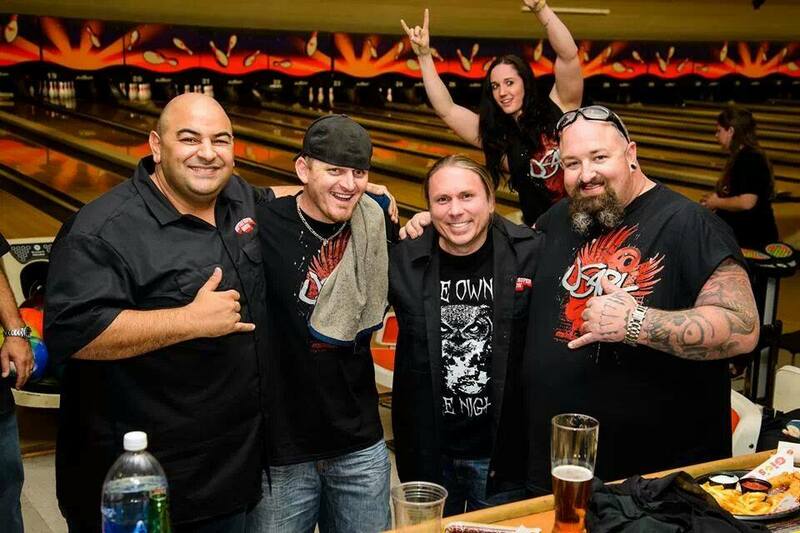 Photo from the SCHAR Bowling with Barczyk event. From left: Ramy from the Reptile Super Show, Jason (SCHA Prez) from SCHAR, Brian from BHB Reptiles and Ton Jones from Auction Hunters, (Also, USARK volunteer Kim in the background). Click photo for more pictures.